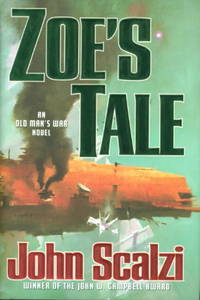 Home > Bookfever.com, IOBA > ZOE'S TALE. New York:: TOR / Tom Doherty Associates,, (2008.). Fine in a fine dust jacket (as new.). First printing. A stand-alone novel in his award-winning "Old Man's War" series. SIGNED on the title page. 335 pp.